Styler: Mint, agilawood, wormwood, rose, lily and multi-flavor mix. Occasion: study, bedroom, sauna, yoga studio, meditaion room, kitchen etc. • Burning Time - About 10minutes/Cones (no wind). • Style - Mint, agilawood, wormwood, rose, lily and multi-flavor mix. • Occasion - Study, bedroom, sauna, yoga studio, meditaion room, kitchen etc. • Features - Exquisite workmanship, can be a classical furnishings, with meditation and aid-sleeping effect. 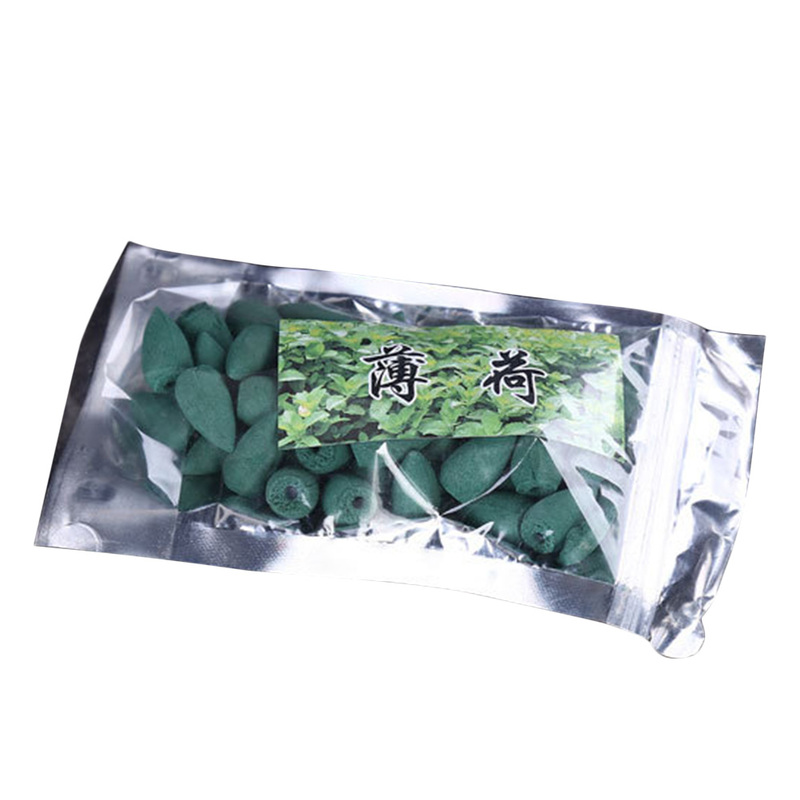 • Material - High quality sticky powder + natural fragrant powder.